Almost februari and stil no one for 10 questions? Oh yeah, we have. The first 10 questions go to Top Model of the Netherlands 2018 Elysha Pouwels. She participated as Miss Teen of Groningen at the Miss Teen of the Netherlands 2017 pageant were she was one of the 5 finalists. At the pageant there were several other crowns to win and Elisha won the Top Model of the Netherlands crown and she will represent the Netherlands at the Top Model of the World pageant. 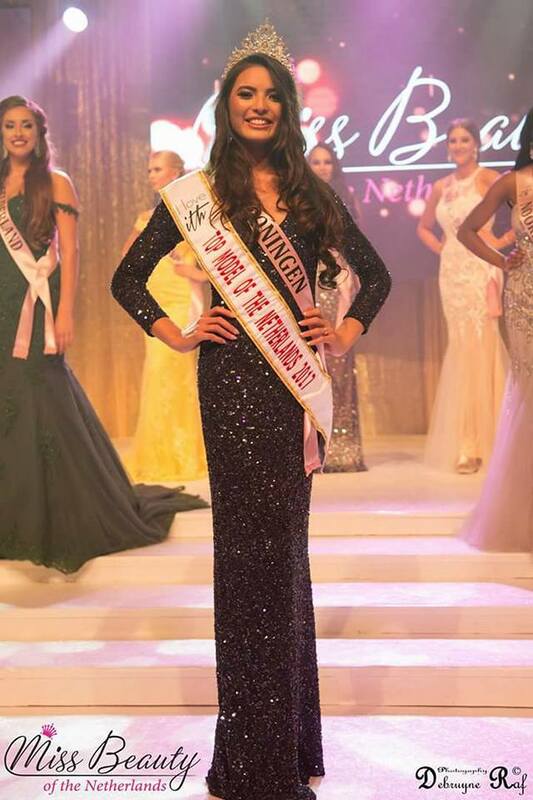 The last time the Netherlands had a delegate in this competition was in 2013, when Renou Zulfiqar became 1st runner-up at the Queen of Europe preliminary. Funny detail: Renou also participated in the 2012 edition of Top Model of the World. In fact she organized Top Model of the Netherlands 2013 and the winner, Milou Esmee, would go to the 2014 edition but never went to the pageant. We sure hope that Elisha will do very well at the competition as the Netherlands only placed once and that was back in 1995 when Esther Velthuisen became one of the 11 semi-finalists. Who is the young and gorgeous Elysha? We asked her 10 questions. So lets get to know her a little better…. My name is Elysha Pouwels, I am eigthteen years old and I am Top Model of the Netherlands 2017. My father was born in Surinam and has Indonesian blood. My mother was born in the Netherlands and now, me and my mother live together in Groningen. My hobbies are going to the movies and to explore new places while traveling. Besides my beauty pageant life, I go to school to study facility management. I entered the world of beauty pageants this year. It started when I was scouted by a Miss Beauty of Groningen finalist 2016. This girl thought I had potential to become a miss and told me to sign up. The most important reason why I signed up to Miss Beauty, is because I believe that you can learn a lot from different experiences. I had never done something like this, so I saw this as an opportunity to challenge myself. What, in your opinion, is the difference between a beauty queen and a topmodel? And what makes you a topmodel? That’s a really difficult question because i am participating in Topmodel of the World what is still a beauty pageant. I think the different between a topmodel and a miss is not only the height, the size but also the appearance. What makes me a topmodel? I think that they have choose me because I have a multi-cultural appearance and I am strong on photo’s. but besides that, I really love to stand in front of the camera. What are you working on most to be successful in the international pageant and why? I work hard to become a healthy person. From what I heard, is that international competitions are really tough. That you don’t get a lot of sleep and you are constantly busy. When I go to Grenada I want to be the fittest version of myself, so that I can fully concentrate on my mission, to become topmodel of the world. The organization of Topmodel of the World state that they are creating role models. What role model are you or would you like to be for young women in the Netherlands? I want to be the type of role model that shows young woman that beauty starts with feeling comfortable in your own skin. When you feel good on the inside, it will show on the outside. I believe that you can keep on working on yourself, by education and experience to become an independent woman. Beauty has no definition and is very diverse. So be yourself. The competition will be held in Grenada. What do you expect from the competition and from Grenada? I hope to see a lot from Grenada and all his beautiful culture. What I expect from the competition? I think I will have an amazing time with all the girls and hope to make a lot of new friends, I also hope to learn a lot about their cultures and countries. The world of beauty pageants and modeling competitions is though! How will you survive the international pageant? I will survive this international pageant, because I work hard to become a healthy person. Being healthy helps me to concentrate better and my body will be stronger. I have learned that it is hard working and you don’t get a lot of time to rest. But I think when you have made new friends that together we will get through all of this and have a lot of fun. The Netherlands have never won this competition. What will you do to win this competition? I know that the Netherlands have never won before but there is a first time for everything. I will have a lot of catwalk lessons to get to a next level. 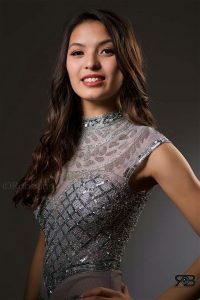 I want to show my enthusiasm and skills for the beauty pageants and besides that, it’s not about winning the competition but about growing and enjoy the experience! You are from the province of Groningen. We don’t have many national winners from your province. What do you think is the reason? Groningen is in the north of the Netherlands. I think that we don’t have many national winners from my province, because beauty pageants are quite unknown here. We have a few beauty pageants in the north, but besides that, we don’t have a lot of knowledge about pageants. What about Elysha in 10 years? I hope I have graduated and have travelled a lot. I already know that I will learn a lot from my international experience and I hope to bring it with me when I get older. I also hope to live a healthy and happy life and who knows? Maybe you will see me in different fashion magazines! Thank you Elysha, for taking the time to answer our 10 questions, also many thanks to Charina Bartels and Milou Verhoeks from the Beauty of the Netherlands, who make these interviews possible.